Please Vote To Help The Hounds! Renner here, yup I’m the guy on the right! 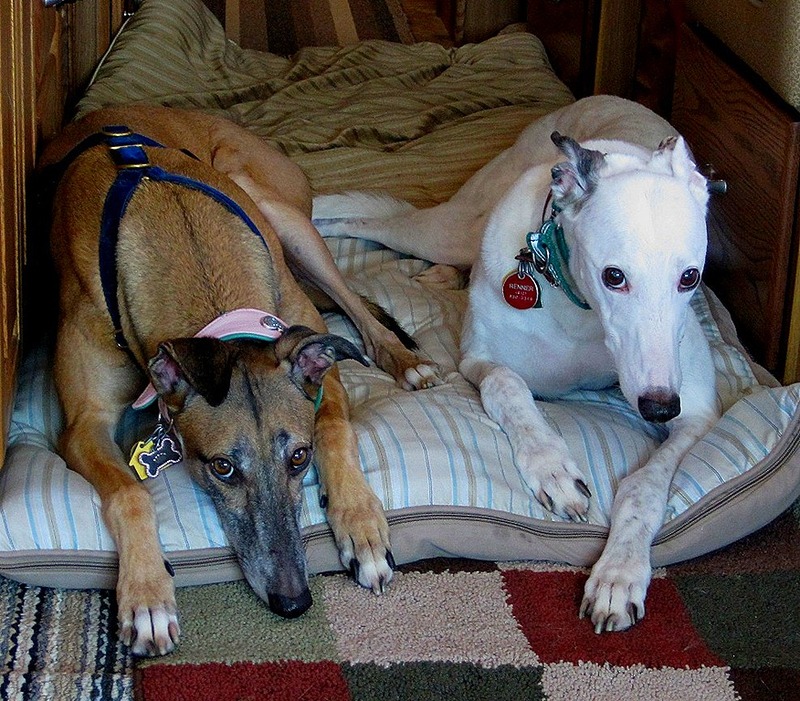 For those who are unsure of our breed, Mandy and I are retired racing greyhounds! Living the good life now! Little Sis Mandy can be kind of a pain sometimes, like when she wants to share my bed as we ride back from camping trips, but all in all she is good to have around. Both of us are so very happy to have been lucky enough to have a ‘forever home’ where people love us as much as they do. 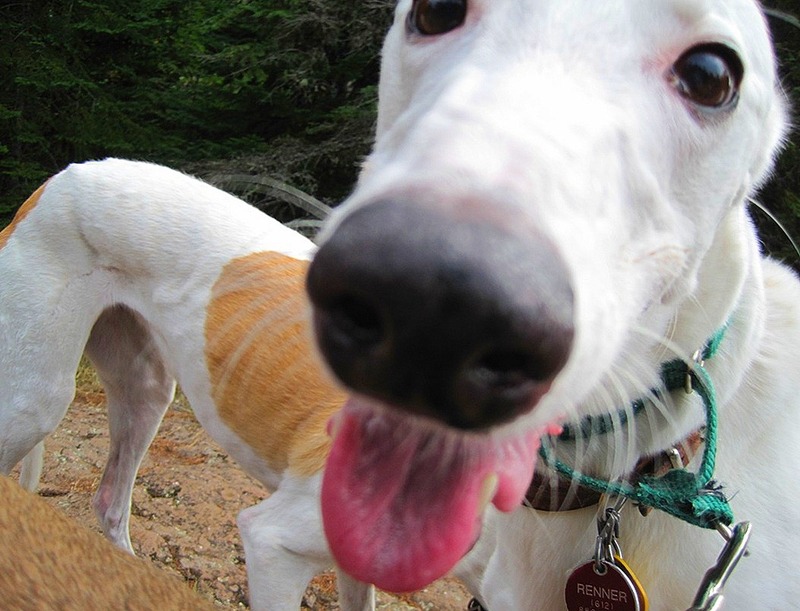 We would like to see other hounds, like us, have long happy lives with people that love them too! Please, please, please take a look at the short video below and then go to the other link to vote for Dennis Tyler to help win Greyhound Pets of America – Florida win $10,000.00. It only takes a moment of a life that, as a person, there are *so many* of, but as a retired racing greyhound there is often *so* few. The moments are just ticking away as you are reading this, counting down the end of yet another Retired Racer’s life. Please take just a moment to vote for them. Such a small gesture can help save the lives of so many. GPA C FL can win $10000 from People Magazine if they receive the most votes! Ends Oct. 13! We are participating in this Saturday’s Pet Blog Hop, hosted by Life With Dogs, Two Little Cavaliers and Confessions of the Plume. If you’d like to participate, please follow the rules and follow your three hosts, add your blog to the Linky and copy and paste the html code into your html editor. Thanks again to our hosts for putting on the hop!